Washington Oaks Gardens State Park is an unexpected combination of unique features that create exceptional beauty. It’s located on a Florida barrier island; the park has extraordinary natural spaces with the Matanzas River to the west and the Atlantic Ocean to the east. Here are seven reasons to visit this beautiful state park during your next stay at Royal Floridian or Royal Floridian South. 1. Rich History: In 1936, Louise Powis Clark purchased the land as a winter retirement home for she and her third husband, Owen D. Young. Mr. Young was an attorney who served as the Chief Executive Officer of the General Electric Company and founded the Radio Corporation of America (RCA) as a subsidiary of G.E in 1919, serving as its chairman until 1929. He was also an important diplomat for the United States in the rebuilding of Europe; he devised the “Young Plan” for the payment of German World War I reparations. In 1929, Mr. Young was chosen to be Time Magazine’s “Man of the Year.” Throughout the 1940’s and 50’s, the Young’s children and grandchildren enjoyed extended vacations at Washington Oaks. Two years after Mr. Young passed away in 1962, Louise donated the property to the State of Florida with the stipulation that the gardens be maintained in their present form. 2. The Gardens: The original owners created the formal gardens as the focal point of the property. Asian influences can be seen throughout the gardens, a direct result of Young’s travels. Native and exotic plants from around the world are displayed along footpaths and around reflecting ponds. 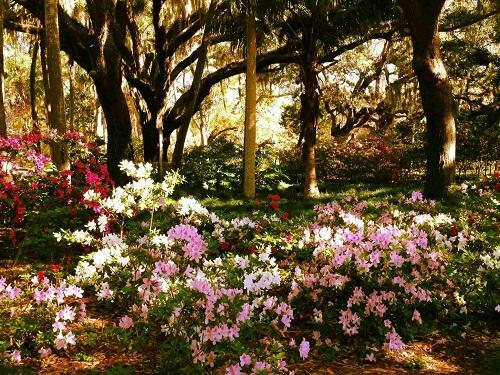 My personal favorite flowers found in the gardens are azaleas, camellias and roses. 3. The Beach: The Washington Oaks Gardens State Park Beach is not your average Florida beach. Instead of swimming or surfing, it’s more popular to explore the tide pools and coquina. 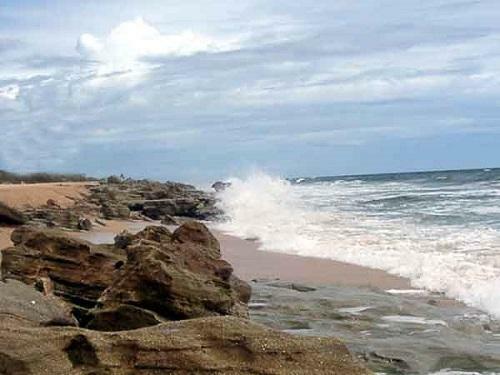 The beach contains the second largest outcropping of coquina rock on the Atlantic Ocean. Coquina rock is a type of sedimentary rock that is formed from combination of shells and sand. During times when the sea level was lower, the shells and sand were exposed to rainwater that dissolved the calcium carbonate (limestone) from the shells, and “glued” them together to create a rock formation. 4. The Vegetation: The gardens are filled with unique magnolias, hickories, cabbage palmettos, saw palmettos and live oaks. 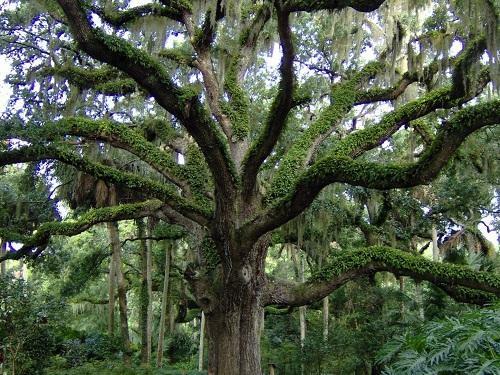 The oldest live oak tree in the gardens is estimated to be between 200 and 300 years old. The primary uses for live oaks today are providing food, shade and shelter. Whether you walk through the gardens or along the beach, you are sure to find a large variety of plants and vegetation. 5. The Wildlife: The Washington Oaks Gardens State Park is a prime spot to see a variety wildlife including sea turtles, Florida gopher tortoises, West Indian manatees, white-tailed deer, raccoons and bobcats. You can also find foxes, Virginia opossums, eastern gray squirrels, pileated woodpeckers, northern cardinals, bald eagles, peregrine falcons and Florida scrub jays. 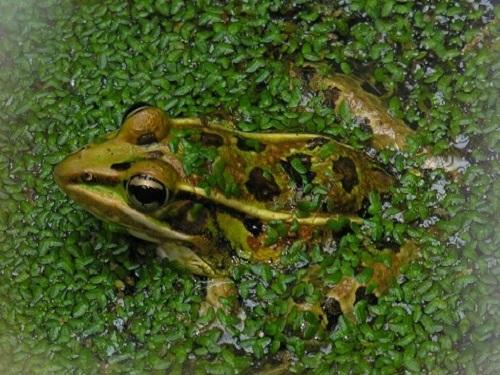 Visit the Washington Oaks website for a gallery of wildlife images! 6. The Hiking and Biking: One of the most popular activities in Washington Oaks State Park is the 1.7-mile trail system that explores the beautiful sights of the gardens. The hiking and biking trails include the Timucuan hiking trail, Mala Compra hiking loop, Jungle Road trail and the Old A-1-A hike and bike trail. The Florida Department of Environmental Protection developed the hiking trails in cooperation with the Florida Trail Association. 7. 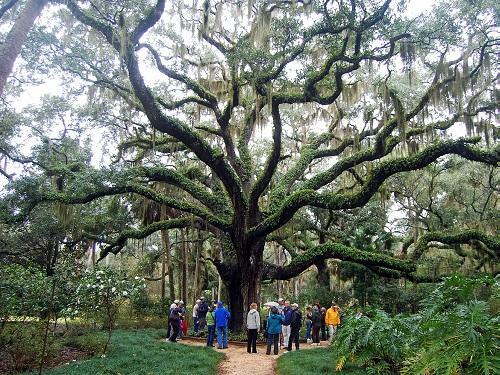 The Events: Washington Oaks Gardens State Park holds monthly events for visitors. You can join guided walks through the formal gardens or enjoy the Music in the Gardens series featuring live performances by local musicians. If you are looking to host a destination wedding or any other events at the state park, you can place a reservation on the Washington Oaks website. 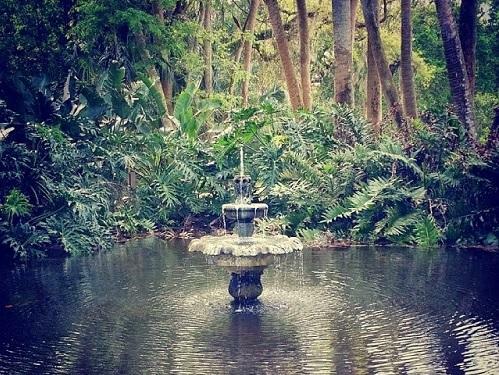 Whether I am in Ormond Beach for work or vacation, I always make time to visit the Washington Oaks State Park Gardens. 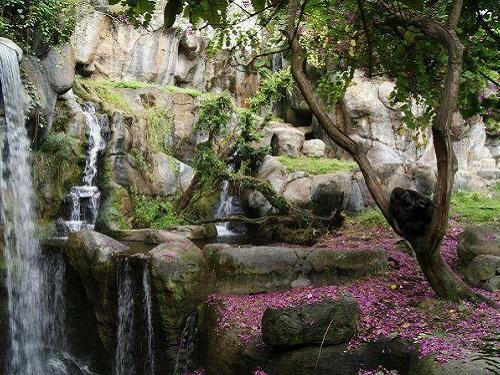 The atmosphere is so relaxing and the sights are beautiful, that it’s very easy to spend hours exploring the grounds. Remember to bring your camera and capture the memories you will make exploring all of the amazing features this state park has to offer! Have you visited the Washington Oaks Garden State Park? Share your photos thoughts with us on Social Media.